Nothing beats a crisp, refreshing drink on these hot summer days, and nothing is more refreshing than the libations at ANXO Cidery & Tasting Room. They specialize in bright, fruity ciders, as well as an array of other drinks and an awesome tasting menu. 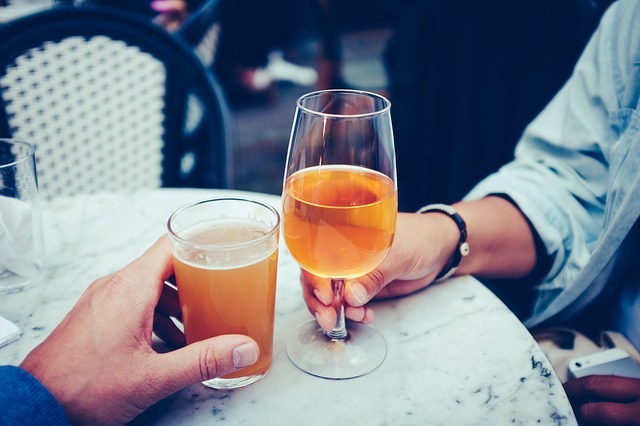 Their cider offering is easy to understand and well explained on their menu, and the staff is happy to introduce you to the different drinks if you’re new to the world of cider. Or try a flight to sample four small pours. If cider isn’t your speed, a trip just to snack on their tasting menu is well worth the visit, with shareable snacks, meat and cheese boards, and breakfast served all day. You won’t be left thirsty either with their impressive menu of beers, wines, and craft cocktails. The atmosphere is modern and rustic, and the kind of relaxed place that makes time fly by. For more inspiration to visit, check out their Yelp page for the near perfect reviews of the food, drinks, and space.